First, we’re going to guess that you need a pair of ski goggles. You wouldn’t be here unless you realised the need to wear the appropriate eye gear for a day out skiing. Our second assumption is that you’re not interested in spending more than you have to (who does?!). Many people wait until the very last minute and are forced to buy whatever the resort has in stock. They see you coming and their prices (and selection) are horrible and demeaning. Does that sound about right? Yes? It’s not like we’re reading your mind, but we have a pretty good idea of why you’d be reading an article on how to buy the best men’s ski goggles. Regardless of whether you’re bored and reading whatever you find online, or if you’re genuinely interested in learning more about best snowboard goggles, this should be the best resource for you. By the end, you should have a clear picture of what you need, what you should expect from your goggles, why you need them, and a good idea of the best brands and models you can buy online. Before we get into the meat of the article, just a quick word on why you should wear goggles. You might have seen people on the slopes without goggles. Are they really that necessary? In short, yes. They are an essential part of your ski wear, and buying the right pair of men’s ski goggles will improve your day immensely. You won’t be able to live without them after you’ve tried them on. The best ski goggles will keep your eyes safe during the day. When you’re flying down the slopes at a reasonable rate of speed, you are putting your eyes in danger of flying debris and particles of ice and snow. Protect your eyes with a solid layer of polycarbonate lens that shield your sensitive sockets from anything that comes up at you. You also need to shield your eyes from the damage of the light. Skiing on a sunny day sounds idyllic, but it can be murderous on your vision. Not only does the sun shine directly into your eyes, but also reflects off of the glaring snow. Snow blindness is a real thing and can cause permanent damage to your retinas if you aren’t careful. We’ll talk about this in a bit, but you need to pick ski goggles that will enhance your vision on the ski fields. Ski goggles have tints and features that improve what you can see out on the slopes. And when each day changes, you need to be prepared for full sunlight, low light, blowing snow, patchy shadowy ground, and artificial lighting on the runs. Your ski goggles can help improve what you can see, protect your vision from harmful UV light and illuminate ground features you should see. Ok, it’s time to prepare yourself for the shopping portion. If you want to buy ski goggles, you need to be prepared for what the manufacturers are going to tell you about them. Lens? UV light? VLT rating? HD cameras? Anti-fogging? Venting? These are the terms and lingo that we’ll walk you through to be better at being choosy about your ski goggles. Ok, this is a big category, and the main reason you’re going to choose the right pair of ski goggles. Everything else is fluff, glitter, and structure. So, let’s spend the time on understanding the lens of your snowboard goggles and what you need to ask for. You can get tints that help you achieve your goals on the mountain. Coloured tints, like gold, amber, yellow, or rose, will filter out blue light. That’s to say that it will make the shadows more visible, thus allowing you to see things like bumps and jumps easier. Darker tints (like dark greens, copper, or dark brown) work on sunny, cloudless days. They filter out much of the natural light spectrum, keeping your eyes more comfortable and avoiding eye strain. You’ve probably also seen the flash lens, or the mirrored lens as well. They also reduce the amount of natural sunlight coming in to your vision, allowing you to see clearly without straining your eyes on the light or reflection on the snow. No matter what you choose, you need to pay attention to the VLT, or Visible Light Transmission, number. Even if you forget everything we told you about tints, you’ll remember this number. It is a rating of the amount of natural light allowed in. The higher the number, the more light is allowed into your eyes. Ratings like 10-20 are good for sunny, bright days, while ratings like 70-80 allow colour and depth perception on days when the light is low. 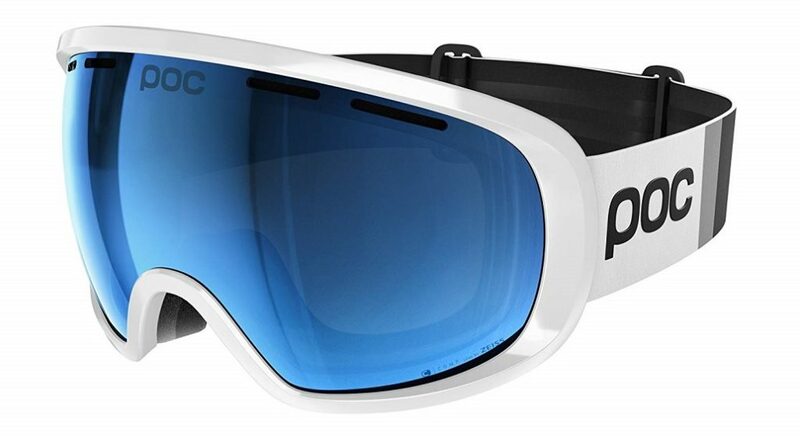 One of the coolest features we’ve found on men’s ski goggles are the photochromic lens. Although not really necessary for inexperienced riders, they are perfect for those who want to try out a few different terrains and conditions. The lens actually transitions from one tint to another, matching the light conditions outside to give you the best vision you can. This is handy if the days turn from sunny to cloudy to the setting sun. You can ski or snowboard comfortably knowing you will always have the best possible view. Although not as cool as the photochromic lens, you can still enjoy a good ride with a pair of goggles that can change the lens out. Experienced riders love the flexibility of selecting which lens they’ll need. They don’t have to worry about buying a different pair or adjusting the fit of a new set of goggles. They can swap on the go, and head down their next run. Not only should you worry about getting the right tint on your lens, you should also get glare protection. Polarised lenses help block that glare from reaching your eyes, allowing you full vision and not washing out any of the details you need to see on the ground. You will need to clear your goggles at some point on your ride. That’s because the air inside will be warmer than the outside air, causing condensation to fog up the lens. You should look for vented goggles. They include little holes and slits to allow the warm air to escape during the day. Larger holes will allow more air to escape, but on extreme conditions, they do allow colder air in. Fewer holes keep your face warm, but don’t allow the warm air to escape but will collect moisture to sit on the lens. This is a really easy number to remember. You should only ever ask for 100% UV blockage. Anything less is going to cause damage to your eyes, especially on extremely sunny days. Did you know you can actually sunburn your eyes? You can. It’s called photokeratitis. During the summer, it’s more difficult because people wear sunglasses and don’t participate in activities that expose their eyes to a lot of sun. Maybe because it’s cold out, people can tend to forget that the sun’s UVA and UVB rays are just as harmful, and cause just as much damage, regardless of the heat. Protect your eyes and only seek out 100% UV blocking ability. There are a couple options of styles for your to choose, offering different vision and anti-fogging features. To best describe this style of lens, it’s a perfectly vertical lens that sits straight on your face. The lens wraps around the side, but the glass remains unchanged. It’s like how a lens would sit on the outside of a cylinder. This type of glass allows for undistorted images. Your peripheral vision isn’t altered by the distortion around the side of your face. It also sits closer in to your eyes. That may not matter unless you need to wear glasses, or you have good venting on the goggles. For beginners, we recommend this wrap-style for best vision and lack of distortion. These types of goggles are bubble-shaped, sitting out further on the edges than in the middle of the lens. 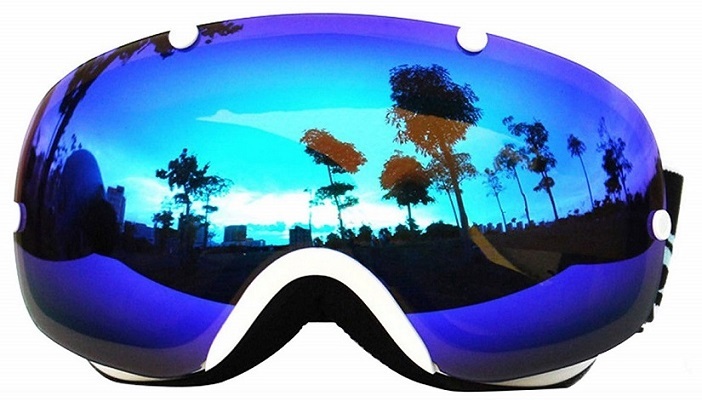 With this style, you can get greater peripheral vision, allowing you to see other skiers and snowboarders on the hill. You also have the goggles sit further from your face, allowing more room for warm air to vent out, and for glasses you might need to wear while skiing. There is some pretty cool tech out there on the newest ski goggles for men. While we’re not including them in our “must have” list of features, it’s best to know what there is out there. Some versions include a built-in camera that allows you to record in HD the run you take. If you’re taking dangerous and thrill-seeking ski runs, this would be perfect for you. To further combat the issue of fogging, some goggles include a double-layer of lens, creating a vacuum of air that breaks the barrier between your warm face and the cold air outside. Some goggles include nose guards or brow guards in case you fall. If your skiing is that rambunctious, this might be something you’d wish to consider in the future. Alright, it’s what you’ve been waiting for. It’s the list of our best selection for men’s ski goggles this season. We’ve got a range of goggles that suit both beginner as well as those with a few seasons under their belts. Many of the goggles you’ll come across (and a few that we mention here) will be listed as OTG or Over The Glasses. It’s a type of goggle that you can wear, even if you must wear glasses and keep them on as you ski. Of course, there are some goggles that you can get with prescription lenses. They are expensive, but they exist and aren’t impossible to find. If you must wear glasses, we prefer the OTG design because it’s cheaper and there is no discernible difference between an OTG pair and a regular pair of goggles. One just has the room to accommodate glasses, but you can still wear them, even if you don’t wear frames. First up on our list is a frameless all-rounder that we feel is pretty special. And why is it so special? Because of what you get? Because of all the features? Sure. But it’s truly amazing because it’s got a great price tag. For such a small fee, you get a spherical lens that gives better peripheral views to keep an eye on things around you. You get an interchangeable lens system that gives you the freedom to ski in any weather, any terrain, or any condition. All the lens come with an anti-fog coating that resists the natural condensation that other goggles would be prone to experience. And what do we love about this pair of goggles for men? We LOVE that it’s an OTG design. You get to wear these goggles, even if you are stuck with those thick coke-glass frames. The tech in this pair is pretty advanced, including a 100% UV400 tint in all their lenses. The strap is even compatible with all helmets, should you advance enough to require one when you ride. This pair will still be there for you. When thinking of ski goggles or ski sunglasses, Oakley are one of the first brands that will come to mind for many people. Synonymous with skiing and quality, Oakley ski goggles are a popular choice for skiers around the world. The 02 model are an affordable pair of Oakley men’s ski goggles that provide more than just a brand. Boasting 5/5 on customer reviews, the Oakley 02 is ideal option for men when looking to buy new ski goggles. 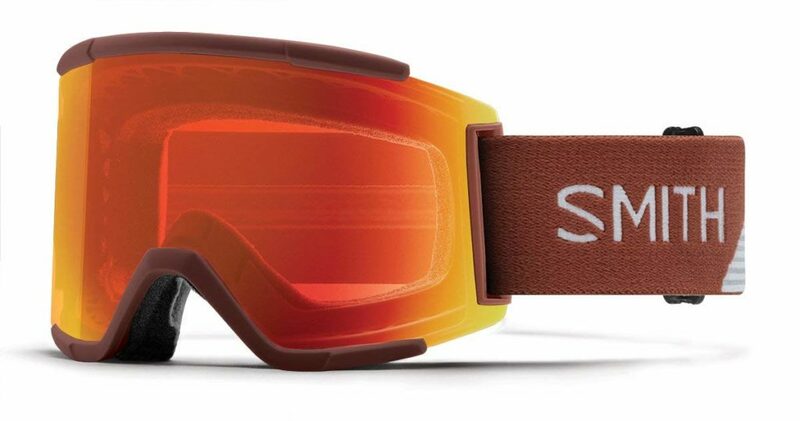 Next up on our comprehensive list comes from Smith, a reputed brand in ski goggles for men. This cylindrical lens does it’s best to compensate for natural distortion by using a technology called Tapered Lens, which allows the wearer to see as naturally as if they weren’t wearing it at all. The peripheral vision is very good in this pair. The lens is designed to handle most light conditions, but it’s not an interchangeable lens. For that reason, it’s best to pick a lens tint that you will use on your normal skiing day. The entire set is very compatible with helmets and fits exquisitely to your face. We experienced relatively no discomfort, and you will quickly forget you’re even wearing them due to the soft, double-layered foam that rests against your head and nose. It’s a fog-resistant, scratch-resistant lens that stays as clear as the first day you bought, even after several days out in harsh conditions. 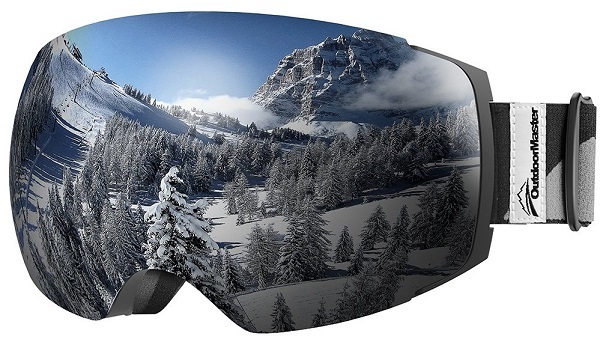 These ski goggles from Copozz are a great looking pair of ski goggles. Appearance isn’t everything, but we love the look of these. Not only are they cool to look at, the they function brilliantly with 100% UV protection and mirrored lenses. These aren’t just men’s ski goggles either, they’re neutrally styled to be suitable for both men and women and the head strap accommodates for the size different with ease. If you’re looking for his and her’s ski goggles and don’t want the exact same pair, there’s a range of colours to choose from so know exactly which belong to you. 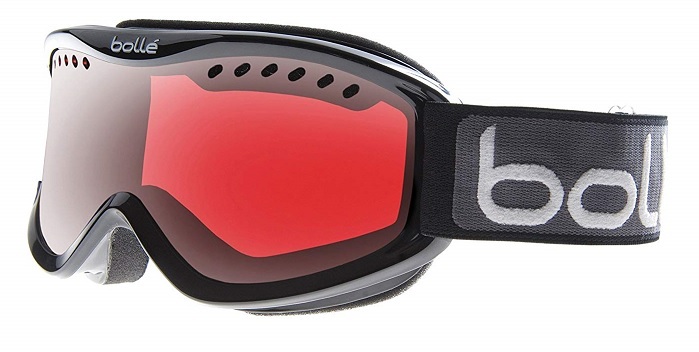 Bolle are a very popular choice of ski goggle brand due to their affordable prices but quality products. Their goggles are popular across the board with men, women and children due to the functionality and reliability of their products. The Bolle Carve ski goggles for men are an ideal choice for beginner-immediate skiers looking or something a bit more substantial than entry level goggles. There are a selection of colours available and the lenses are 100% UV protected. The slightly convex shape of this pair of men’s snowboard goggles gives one of the best vision experiences on the slopes. We haven’t yet come across anything that rivals the crystal-clear views you get, from a nearly 180 degree peripheral view. The Giro goggles are renowned for that level of vision in their products. We also love the 100% UV filters and the anti-scratch, anti-film coating on the outside of the lens. This lens comes with a VLT rating of 37%, making is great for sunny days and slightly shadowy areas. The light pink tint gives good contrast in medium to high light exposure. To give you an idea of what a higher-performance pair of goggles looks like, we’ve included this POC Fovea on our list. This isn’t the most expensive pair (by far!) that you can get, but it’s still more than some beginners would be willing to spend. That being said, it’s a great pair of goggles. Spherical-shaped lenses for improved view with an OTG design. The anti-scratch, anti-fog lens should last quite a few seasons. We found the coating doesn’t even rub off after repeated uses and washes. The triple layer of foam and silicone straps provide the maximum comfort, reducing that achy feeling of wearing tight goggles all day. It has a VLT of 17%, so it’s perfect for bright conditions and extremely sunny days. We would not recommend this for low light or night-time runs. And there you have it. That’s our break down of what you absolutely, positively must know about ski goggles for men, both in how to identify the best kind, and which pairs you should buy. Enjoy a safe and fun day on the hill with these excellent pairs of goggles.